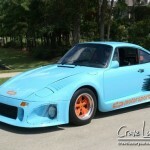 The Gulf Blue 1984 Porsche DP935 we featured back in October is still up for sale and remains up for a reserve auction. These cars typically have more limited appeal, but for those who would be interested in adding one of these machines to their collection this one looks in quite good shape. And they are undeniably unique! Typically a car like this one we would reserve for a Tuner Tuesday post. The parameters of this auction don’t really allow for that so this will serve as a bonus Tuner Tuesday (on Friday)! 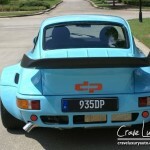 The DP935 takes all of the styling excesses of which we are familiar on the Porsche 930 and turns them up a notch. That is especially the case with an example like this one with the full front end treatment, rather than retaining the standard, and already somewhat wild, 930 Slantnose design. DP Motorsports had partnered with Kremer racing for a number of years providing lightweight bodywork for Kremer’s race cars, which all sort of came to a head with their collaboration on Kremer’s 935 K3. The DP935 is a road-going iteration of that car, though without the cachet that comes with the Kremer name being associated with it. 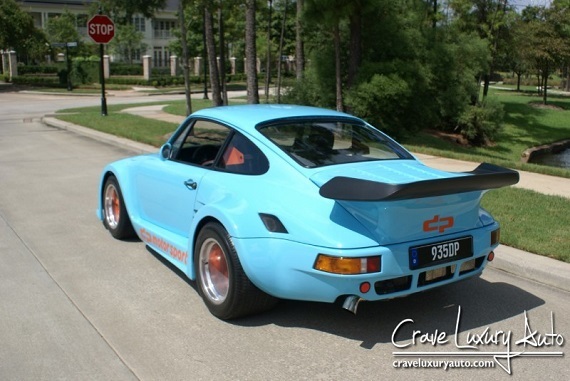 Painted in iconic Gulf Blue and Orange this DP935 brings us about as close as we can get to having a road-going racer modeled off of Porsche’s legendary 935. While these began life as a Porsche 930, and retain the basic shape of those cars, the final product easily distances itself from the 930 in nearly every department, from power to design aesthetic. For those with fond memories of Porsche racing from the ’70s and ’80s a DP935 brings with it the opportunity to own a fantastic piece of that history and one of the ultimate attention-grabbing cars. Welcome to Crave Luxury Auto, one of the nation’s premier marketers of high-line and luxury automobile dealers. 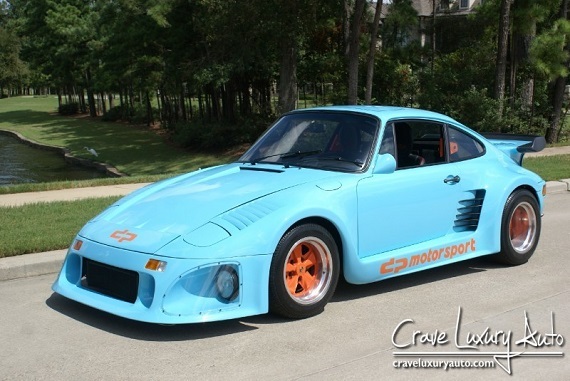 The winner of this auction will have the opportunity to own this beautiful 1983 Porsche 935 DP Turbo. The paint is in excellent condition and it is apparent that this car was garaged and meticulously-maintained. The interior is virtually flawless and is equipped with all the right options with only 56,062 miles. You can’t go wrong with this fabulous vehicle!!! Crave Luxury Auto is located in The Woodlands, TX (north side of Houston, TX). Call us and schedule an appointment to visit Crave Luxury Auto. If you have any questions or would like to schedule a test drive in this vehicle, please call us anytime at 281.651.2101. Thank You for visiting another Crave Luxury Auto Listing! You can always view our online inventory direct at www.craveluxuryauto.com. If you prefer to communicate via email, one of our representatives are always available at craveluxury@gmail.com. Crave Luxury Auto offers an extensive range of superb, low mile, exotic and luxury automobiles. Trade-in proposals are always welcome. When the famed Kremer Racing 935 K3 made history by winning the 1979 24 Hours of Le Mans outright, it was clothed in aerodynamic bodywork designed and fabricated by Ekkehard Zimmermannâ€™s Designer Plastics Automobilbau in Germany. 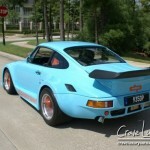 By then DP Motorsports, as it is widely known, had been manufacturing and supplying lightweight body panels for racing Porsches for several years, beginning with the Kremer 911 2.8 RSR that debuted at Daytona in 1973, and it has since built a reputation as one of the world’s top Porsche tuners. That reputation has its founding in part in the creation of road-going Porsches modified to replicate the mighty 935 racers that dominated international sports racing through the 1970s and 1980s. 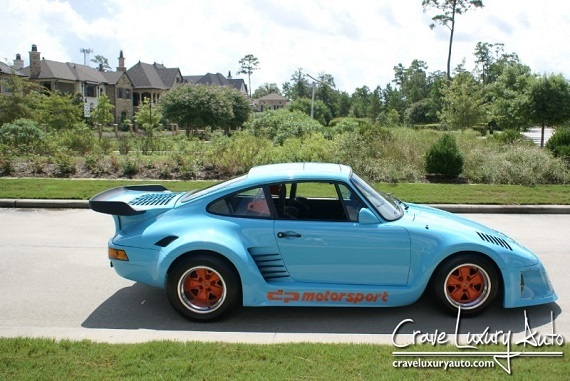 Each DP 935 began life as a 930 Turbo before undergoing an extensive transformation that included a ducted front apron, slanting nose with retracting headlights, wide fender flares connected by body-side running boards and a king-size rear spoiler. The result is a car that looks like it would be more at home doing 200 MPH on the Mulsanne Straight than loping along the highway, which is the very point of the exercise. The October 1983 issue of VW and Porsche Magazine named the DP 935 the fastest street-legal car of the year, and Car and Driver nominated it as one of the five fastest of the entire decade, citing its 0-to-60 time of 4.6 seconds, 10.5-second thrust to 100 MPH and 12.8-second quarter-mile time, all thanks to its DP-modified Stage 2 turbo engine. 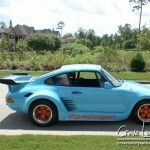 This 1983 Porsche 935 DP was formerly owned by famed world champion and Olympic gold medal-winning skier Bodie Miller. A Houston enthusiast recently purchased the car and restored it, overhauling the entire driveline and suspension and refinishing it in Gulf Racing Blue and Orange. 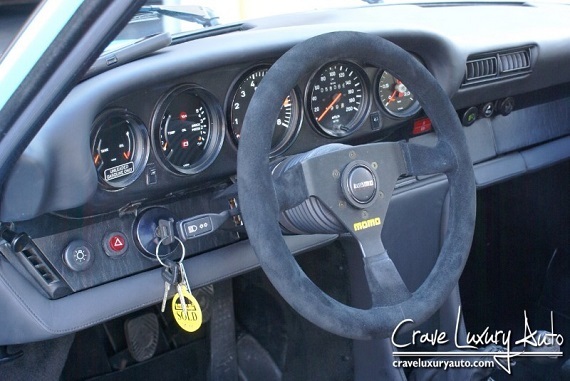 The new interior incorporates period-correct DP â€œlollipopâ€ racing seats, padded Momo steering wheel and VDO/DP gauges, affording occupants the twin pleasures of a racy feel and secure comfort in a machine that fulfills every Porsche loverâ€™s richest fantasies. Sussing out the details on builds like these is never easy and significant work must be done to verify all of the various attributes of the car itself. This one appears to be the full build: receiving enhancements to the engine, the 5-speed transmission, along with the full DP Motorsports bodywork and as such should command quite a bit of value. Whether eBay is the place to try to sell it may be another story. This particular DP935 was up for auction at Monterey back in August. It failed to sale, but was bid up to $225K. That puts the asking price here well above where the market may be valuing the car, but with time we may see that change. For perspective, at that same Monterey auction a Kremer 935 K2 sold for $390,000 and my sense is that the sale price there is influencing the owners of this DP935. There are a number of differences relating to the condition and history of each of those cars that surely have had a strong influence on their relative pricing, but at the very least those figures provide us with a ballpark for where we might value this DP935. 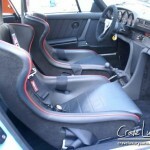 Given all of the crazy things happening on the market for air-cooled Turbos this is definitely one to keep our eye on. 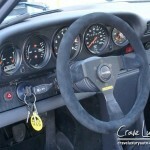 Tagged 1984, 911 turbo, 930, DP Motorsports, DP935, Porsche, Revisit.